The SR-L6111W-PA allows for easy undercounter, counter top or cabinetry kneewell installation. Units can be stacked with an adapter to maximize valuable laboratory floor space. The front airflow refrigeration compartment design requires no additional air space around the cabinet so units can fit directly against a wall around all sides and the top. 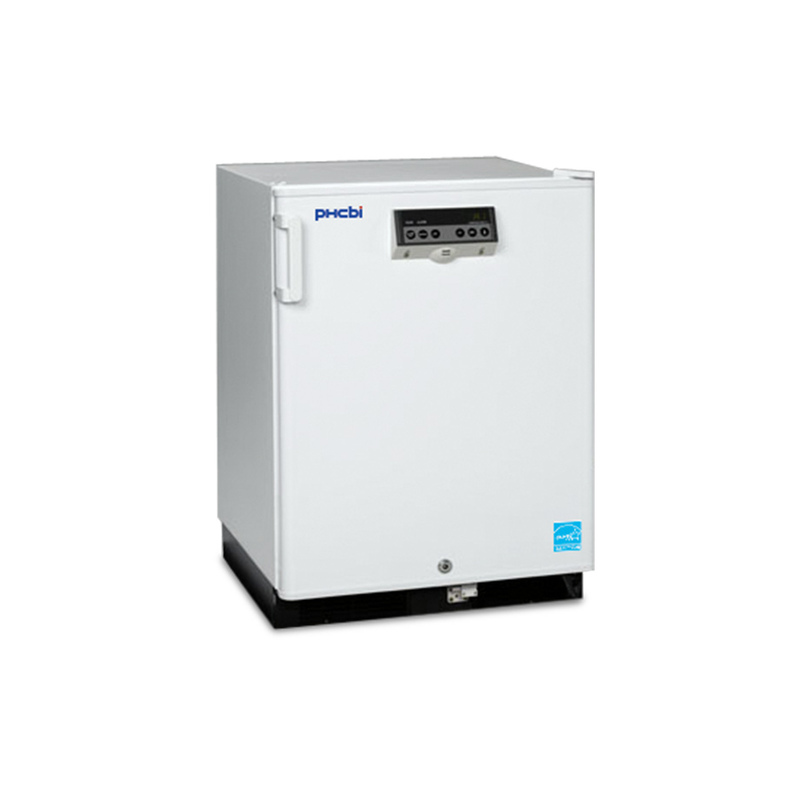 The PHCbi high performance biomedical refrigerators are purpose built with a clinical grade refrigeration system. CFC free foamed-in-place polyurethane insulation and heavy-duty cabinet construction exceed the high-quality standards required by today’s laboratories. The PHCbi microprocessor with LED display includes comprehensive setpoint, alarms, monitoring and diagnostic functions. Self-diagnostic error messages notify you to take corrective action. An intuitive control panel allows for easy programming of operating temperature and alarm settings. 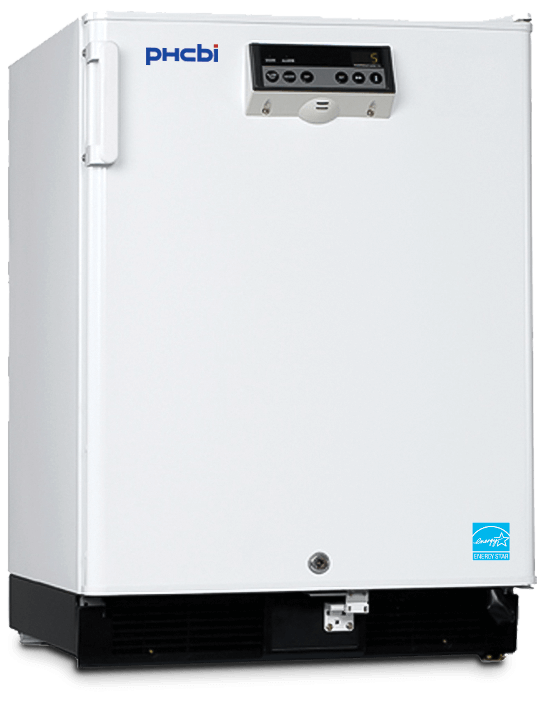 The SR-L6111W-PA is an Energy Star® certified vaccine refrigerator with a precision controlled temperature environment ideal for storage of enzymes, plasma, vaccines, test samples, reagents, test kits and other biologicals. This space-saving lab refrigerator includes an automatic defrost function. A softkey, six button menu is provided for intuitive programming. Remote alarm contacts and a keypad lockout feature to prevent inadvertent temperature adjustment are included. 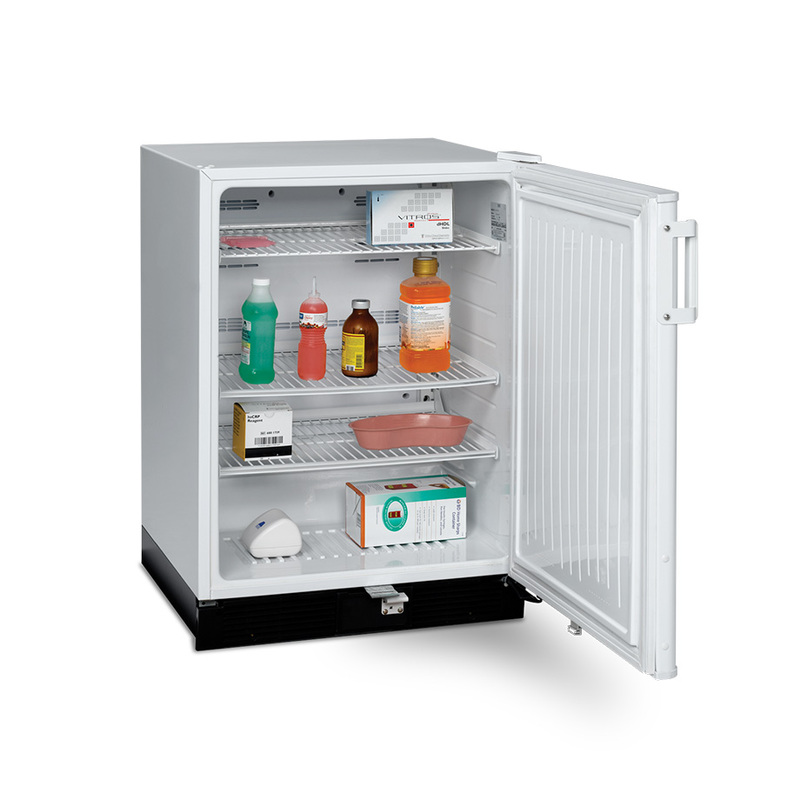 Designed for the demanding standards of pharmaceutical, clinical, biotech and industrial laboratories, the high performance undercounter refrigerator features unique compressor technology with an internal fan for fast recovery after door openings. Refrigerator temperature uniformity is +/- 3°C. The 1.2" (30 mm) access port permits passage of external temperature monitoring probes through the chamber without impinging on the door gasket. The door includes an integrated key lock. If additional security is desired, an optional hasp can be ordered; lock supplied by customer. The SR-L6111W-PA is developed for the critical storage of vaccine and biological materials. The freestanding or undercounter high performance laboratory refrigerator combines PHCbi brand compressors with stringent control processes to provide the highest quality laboratory refrigerator available. The SR-L6111W-PA space-saving lab refrigerator provides a versatile undercounter design, high performance optimized temperature control and LED display for alarms and diagnostic functions. Temperature deviation and power failure alarm with remove alarm contacts. Front panel anti-tampering lock-out.